LOIS BRYANT STUDIO - "Footprints on the Sands of Time"
Although this weaving looks three dimensional, it is actually completely flat. 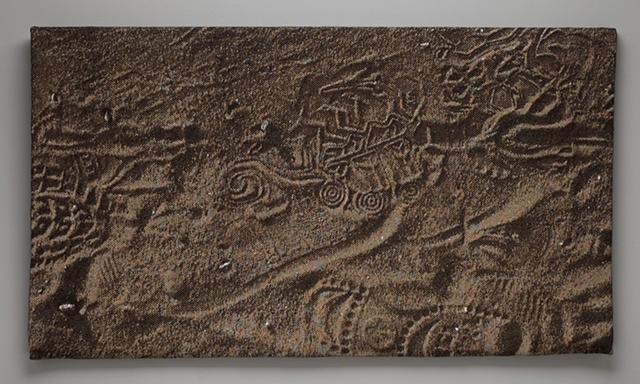 The configuration of footprints in the sand looks somewhat like a pre-Columbian petroglyph. Sometimes our impact on the land is fleeting, and sometimes it it s long lasting. The title is a line from the poem, "Psalm of Life" by Henry Wadsworth Longfellow.